I’ve recently been asked by one of my visitors to Makemoneyonlinepatrol.com,to do an honest Review of DealDash…does it really deliver or is it just another scam?? 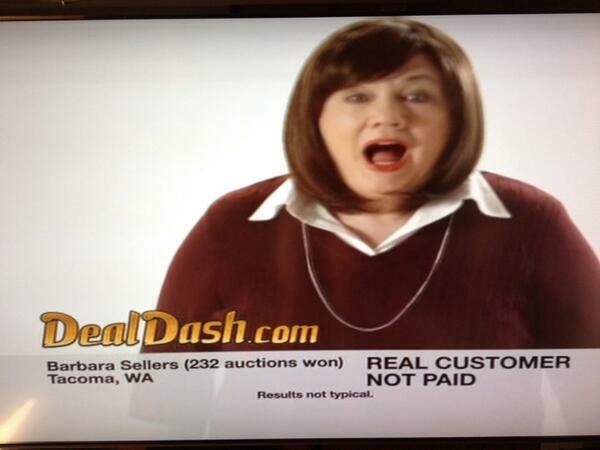 I’m sure you’ve all seen the infamous DealDash commercials on TV, where Real?? DealDash customers share their stories about winning great high-ticket items, for just pennies on the dollar. DealDash tries to come across just like eBay or any other legitimate online auction company, with very misleading advertisments. When in fact, DealDash is very different from a traditional online auction site, indeed!! DealDash does disclose all of their policies in the very fine print of theirs TOS, terms-of-service agreement. Here’s where you’ll discover that DealDash charges (.60¢) per bid, whether or not you end up winning that particular auction or not. Each bid placed, only increases the price of the item by (1¢)…that’s it…just (1)penny. So you see a lot of bids will have to be placed in order to actually win a high-ticket item, which can end up costing bidders hundreds, if not thousands of dollars, in bidders fees!! that auction by just (.10¢), but actually costs you ($6) plus the bid amount for that particular auction, if you win. So it’s easy to see that bidders can get carried away and end-up investing quite a lot of money $$$ for an item that their not Guaranteed on winning!! Where it clearly states ” that Barbara Seller Bid (414) times on that TV. So, that TV actually cost Barbara (414 bids) x (.60) = ($248.40) + ($29.95)TV auction price…for a Grand Total of ($278.35)…NOT the originally stated ($29.95), in the TV Commercial. Now, in DealDash’s defense…they do exactly what they say in their TOS, Terms of Service Agreement…albeit, in the form of dark, fine-print and in a somewhat misleading-way. 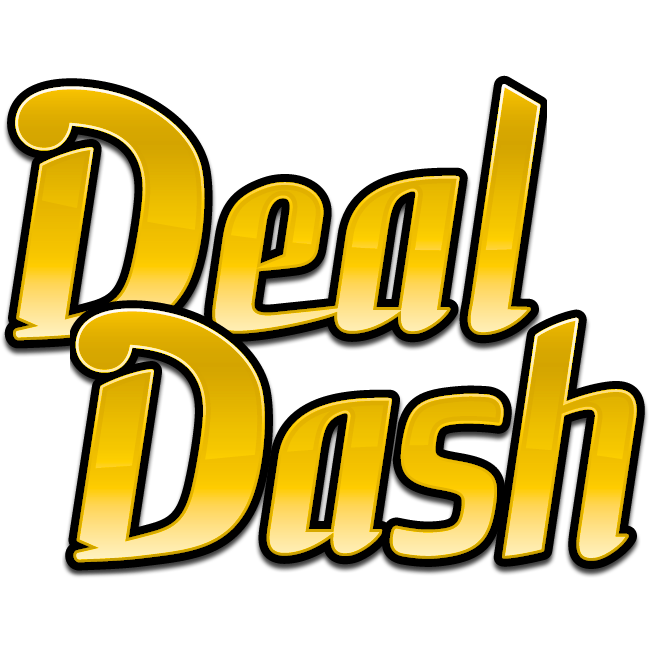 It’s also important to note, that DealDash will credit your (bid-cost) back to you, if you lose the auction and decide to go ahead and purchase the listed item at (their) full retail price. It’s just not worth my time or effort!! Building several Niche Websites over time can become very lucrative and many people I know do this as their Full-Time income…from home…or wherever they want…whenever you want!! I hope you found this short Product Review to be informative!! If you’re a DealDash customer please feel free to leave your experiences, questions or comments below and I’ll get back to you right-away…I’d love to hear from you!! Great review Florence, I saw the TV ads for Deal Dash but never looked into it but your review is clear and to the point. Thank you for taking the time to share the very informative review. Great job. Hello and Thank You for the kind comment Sir!! I will be more than happy to do the same for you!! Yes, I really enjoy doing Product Reviews that actually help inform my visitors along with providing a solid platform that is very user-friendly and provides plenty of User-Engagement. and the exchanging of great affiliate marketing strategies and Good Product Reviews. Please feel free to reach out to me anytime…I’m always here to help!! I Wish You the Greatest Success, with all of your online endeavors!! Hello there, I’m not sure of the specific nature of your problem…but I just went to (DealDash.com) and clicked on the red, “I’m New” icon and was redirected to the Deal Dash registration page, where I was prompted to enter my desired “Username”, “email” and desired password…click continue to finish the rgistration process…Banking/debit card info. etc. I need help getting connected to Dea Dash. Can’t Seem to get sinnedsiened in,or registered.Can someone help me?